Here’s an overview of the different areas we need help with. If you have additional ideas, we’re of course always open for suggestions. If you don’t have time to help, but like what we’re doing, feel free to send us a donation. It will be used for our server infrastructure and supporting Kirtan in Vrindavan and worldwide. We share our love of Kirtan on Facebook, Twitter and YouTube. Instagram is our most recently added platform which desperately needs some beautiful Kirtan pictures. If you would like to take over one of our social media channels for a particular Kirtan event or in general, please get in touch. The 24 Hour Kirtan Podcast presents news about Kirtan events, interviews with Kirtan singers, small inspirational subjects and selected Kirtans. It takes around 2 days for one person to produce an entire 1-2 hour episode of the 24 Hour Kirtan Podcast which is the reason why we only manage to publish a new episode every other week or or sometimes less frequently. We would love to create new episodes on a more regular basis and need others to contribute as writers, hosts, producers or audio engineers. We also regularly read Kirtan related articles from different news websites or Back to Godhead magazine. Both male and female voices are very much welcome. 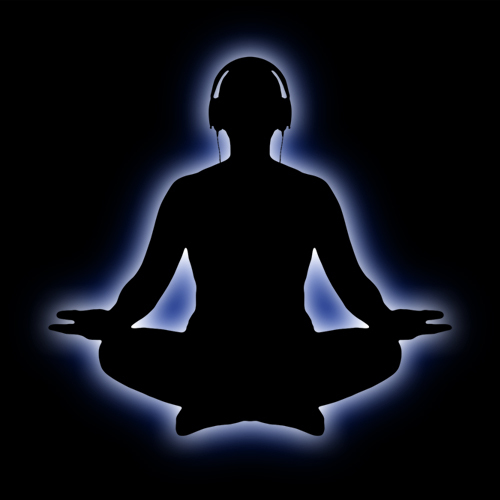 We’re currently recommending various mobile apps like TuneIn to our listeners, but are developing our own 24 Hour Kirtan Radio App. If you have experience with mobile app development and know your way around version control systems like git, please get in touch. We’ve currently redesigning our mobile app. If you’re a designer and would like to contribute, please feel free to get in touch. It is very rare that we get recordings of Kirtans that can be just added to the media archive for broadcasting online and in our own Kirtan app (currently under development). This means that we have to listen to each Kirtan recording and have to adjust the volume or apply other audio filters like compressor to normalize the recording and make the listening experience more pleasant and professional. Sometimes we also extract audio from video with ffmpeg or other tools. In the end ID3 tags have to be added so that the audio player on our website and all other audio channels like iTunes show the correct title and Kirtan location. In our blog we write about Kirtan events and other Kirtan related stuff. 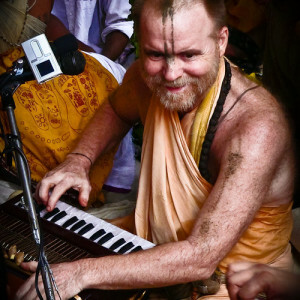 If you like to write about Kirtan and know how to find interesting Kirtan news on the Internet, please get in touch. Hari bol! thanks for a wonderful radio! 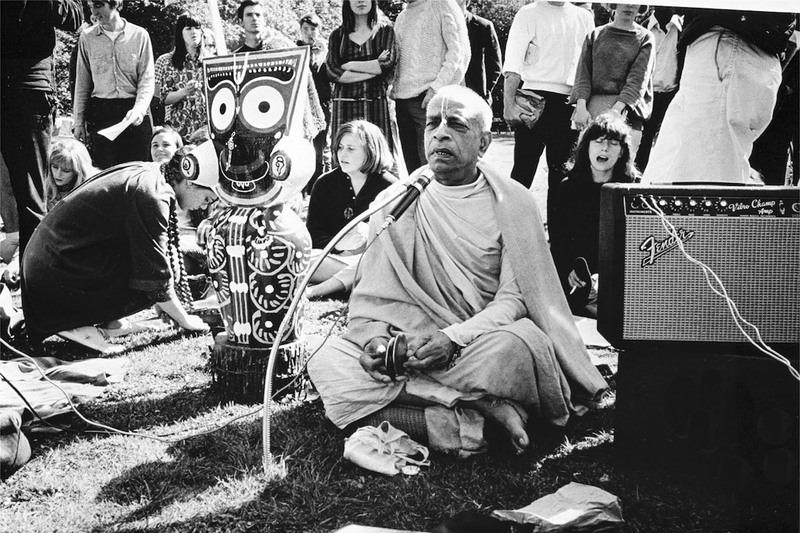 I noticed you give audio streams with quotes of some devotees, disciples of Prabhupada. But why not add Prabhupada’s own voice -Prabhupada’s quotes from lectures? Maybe also add Prabhupada’s bhajans, kirtans and japa (group \ by example, there are 2 japas of him). I think this is very necessary. And maybe add songs of some famous devotees like George Harrison (London devotees album by Beatles)? If “Govindam” is played in ISKCON temples, then why not on 24 kirtan radio (also – other songs from that album)? Also, I love very much singing of Shishtakrit prabhu from Ukrainian ISKCON. He has music education, and plays harmonium so well! Hope you’ll add such content. Haribol and thanks for your feedback. We already have a couple of jingles with Srila Prabhupada one of which is where he explains the maha mantra. We would be happy to add more of them if you have the means to create some for us that would be very much appreciated. If you don’t know how to create MP3 files, please ask in your local community if there’s someone who might be able to help you out. At the moment we have 6 recordings from Shishtakrit at Gauranga Festival Ukraine 2016. Those recordings are part of our library and are randomly selected by our advanced playlist algorithm. If you have more recordings from him, please feel free to send them to us via Dropbox or WeTransfer. Regarding modern Kirtan productions, we already play George Harrison, “Govindam” and many other on our new channel https://raydiokirtan.fm. With the new version of our mobile app you can easily switch between the two channels.